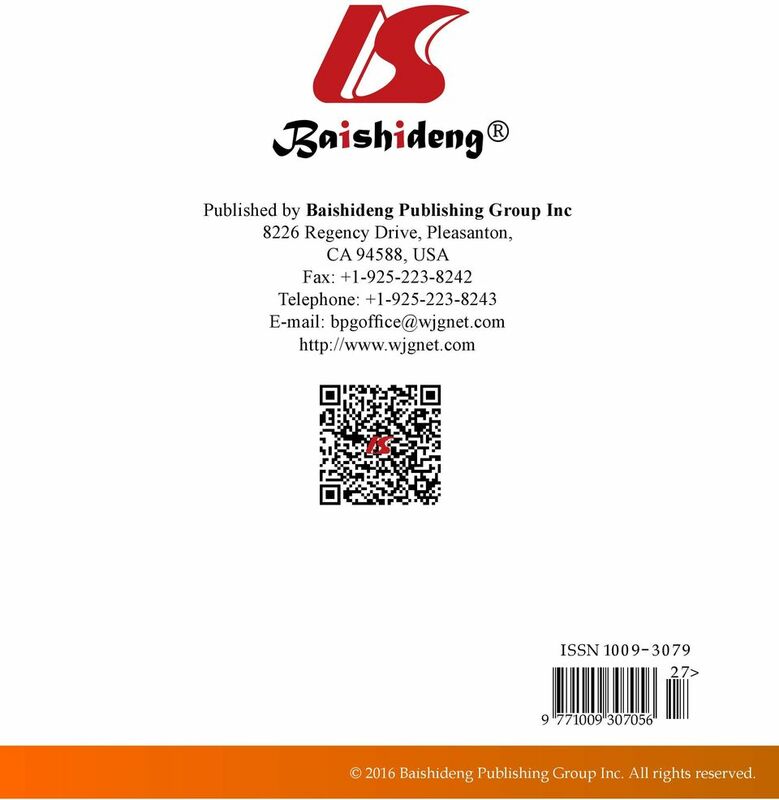 Download "相 关 报 道 妊 娠 期 肝 内 胆 汁 淤 积 症 患 者 实 施 针 对 性 护 理 可 提 高 患 者 治 疗 依 从 性 及 生 产 信 心. 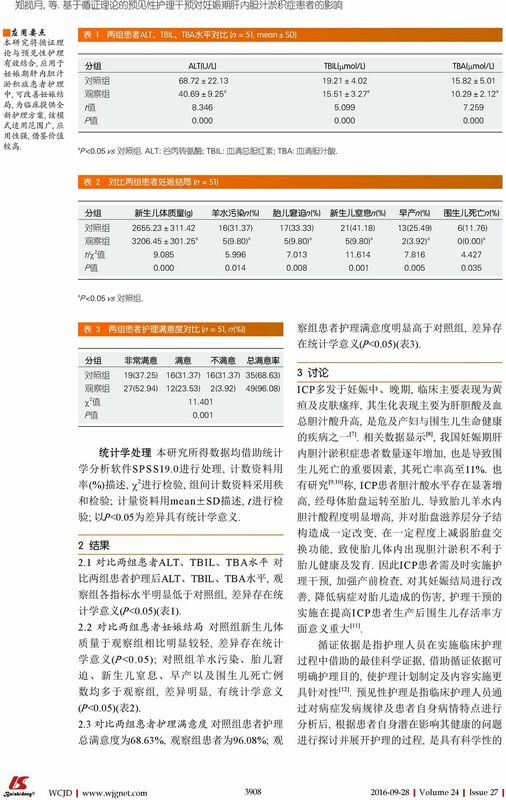 改 善 妊 娠 结 局, 不 良 妊 娠 结 局 出 现 率 低, 护 理 效 果 好. 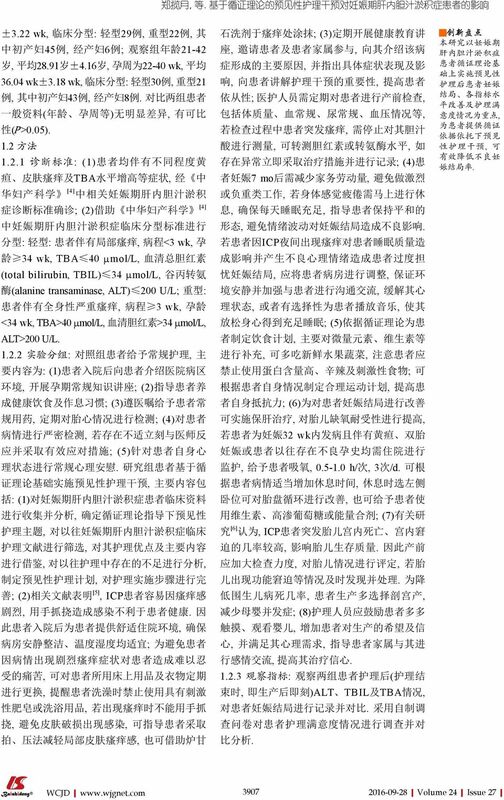 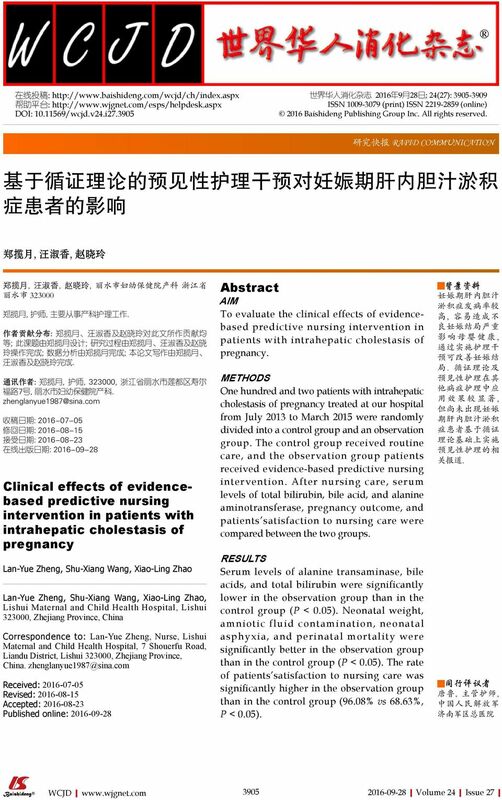 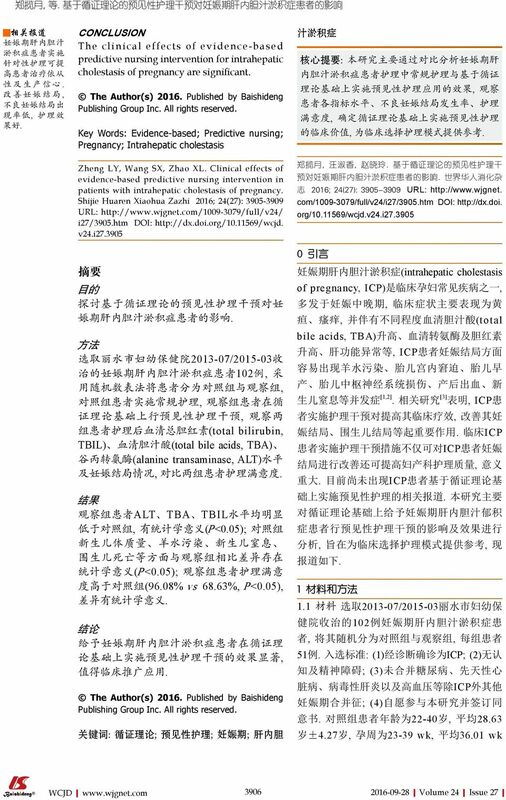 CONCLUSION The clinical effe"
6 Published by Baishideng Publishing Group Inc 8226 Regency Drive, Pleasanton, CA 94588, USA Fax: Telephone: I SSN > Baishideng Publishing Group Inc. All rights reserved.